Near famed Playa del Carmen, this luxurious all-suite resort captures the essence of the Mexican Caribbean with modern design and unforgettable ocean views. An all-inclusive resort with the accent on gourmet dining, you can relax and enjoy luxurious service, excellent food and drinks and the total relaxation that awaits at the resort that aims to please all five senses every day of your vacation. Guests enjoy unique features such as a private rooftop deck lounges with a hot tub for eight, dining table, lounge and barbecue grill, in-suite living room and dining room, and up to three-bedroom suites. Guests can also enjoy full-service spa services, multiple a la carte restaurants, full-service concierge, Azulitos Kids Club and Breeze Teens Club. Resort décor is contemporary but decidedly comfortable as well. Activities abound for children and their parents. 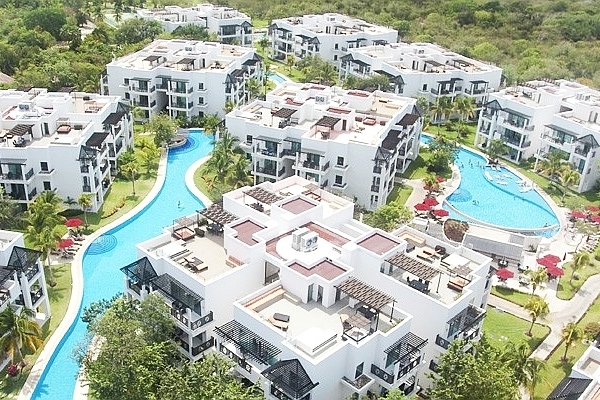 From the beautiful serpentine pool to the bright sands of the pristine beach, Azul Beach Resort The Fives Playa del Carmen is its own definition of a great vacation. 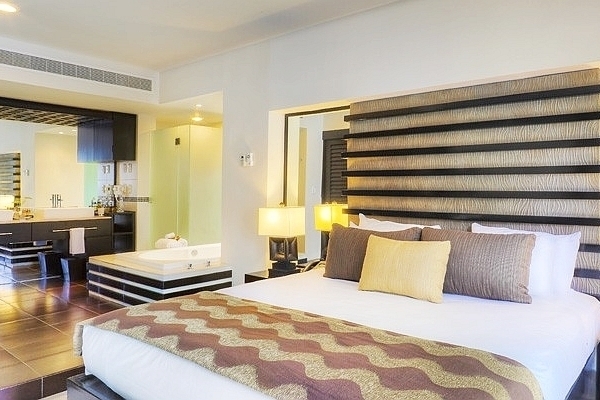 Just ten minutes away from the resort, Playa del Carmen beckons. Enjoy shopping and dining and exploring the waterfront. Nightlife awaits, and by day, you can book exciting adventures to many of Caribbean Mexico's most famous sights. This is the Riviera Maya at its magnificent best. Come for your first visit and it won't be your last!